The plane was almost full when the passenger stepped through the mid-plane door. A mom with two children was headed to Disney World for the Thanksgiving holiday. I had a front-row seat to the situation about to unfold. It was a multiple-minute melodrama about averting crisis in the air. In my view, the situation and how to handle it was simple. But the process airline employees took to get there was quite complicated. And compared to decision-making in a startup, it was almost comical. The flight attendant was focused on ushering passengers to their seats quickly. It was getting close to departure time. 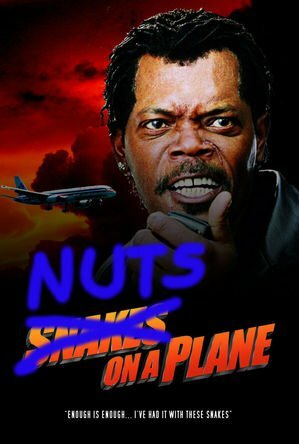 Then the mom dropped a bomb of a question: could the flight attendants forgo warming cocktail nuts in first class during this flight? Her son had a severe nut allergy. She was traveling with doctors’ letters and two EpiPens. First, the flight-attendant had to inform the team leader, who took it to the captain and first-officer, who then called operations supervisors on the ground. Then we waited. At least two supervisors showed up and hovered outside in the jet bridge waiting for a call from someone else. During this time, the first-class flight-attendant also came to the door wanting someone to explicitly tell her whether to serve the nuts. She verbalized concern about personal liability if something went wrong. After continuing to wait, one of the supervisors in the jet bridge called someone else on her cell phone. Several minutes later she received the decision that the nuts should be served. However, we couldn’t take off just yet. Now a customer service supervisor for the terminal needed to board the plane and confirm with the passenger that she did, in fact, want to fly given the risk. The captain was updated. The boarding door closed. In the end, I think we left the gate less than 10 minutes behind schedule. Watching this painful process made me appreciate the value of making decisions quickly when at a small company. Because there are few layers, nearly everyone is properly positioned to act in the best interest of the company and empowered to use their good judgment. Risk. The risk is a child going into anaphylactic shock at 35,000 feet requiring an emergency injection and maybe an emergency landing. Many passengers would be frightened by the event at best, and delayed at worst. Reward. The potential reward for taking this risk was twenty people in first class had nuts with their cocktails. I can’t imagine how we’d get anything done at Edthena if we needed so many people to agree to a decision. And it’s this decision-making speed that serves as an advantage for a small startup when compared to a larger company. As an example, at the end of October we discovered a usability issue through a conversation with one of our customers. There was unnecessary friction for coaches to utilize their desired teaching framework as part of a coaching conversation with a teacher. This problem turned out to be important because it was preventing coaches from fully using the existing set of tools available to them as part of the commenting process. The obvious fix was to let coaches modify the teaching framework picked by the teacher or assign one if none had been picked. This change would be a new feature and would impact several aspects of the user experience. In essence, not a quick fix. Designing, building, testing, and implementing the new feature would require us to reallocate resources from other ongoing projects. After a quick chat, we decided we should make the change now versus later. And less than three weeks later, users were enjoying the benefits of the new features. Less than three weeks from the moment we discovered something important and turned it into new functionality deployed to our users. Trust me, that’s really fast. Thankfully, the child was fine during the flight. And thanks to the wintry jet stream, we made it to our destination a few minutes ahead of schedule anyway.